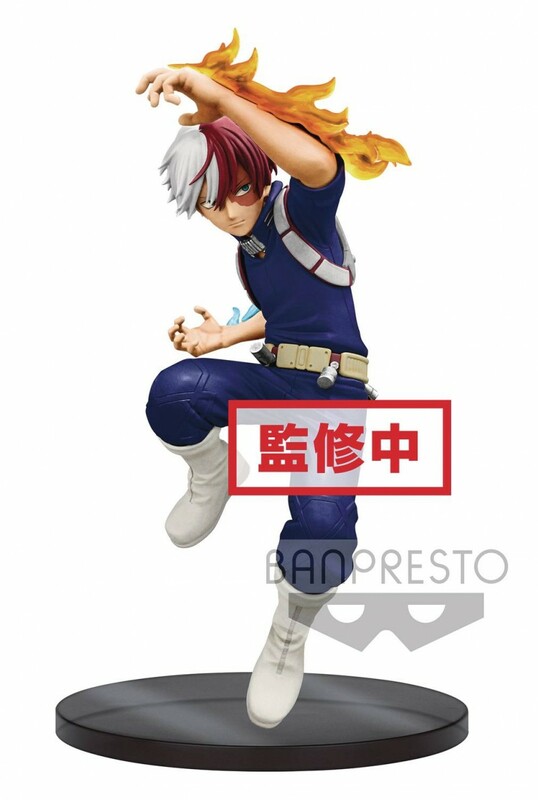 Perfectly balanced, Shoto is both hot and cool in this new figurine from Banpresto! An aspiring hero from My Hero Academia, his eyes are sharp and focused as flames sprout from his left arm and ice mounts from his right! Ready to wield both simultaneously no matter what the oncoming battle brings, Shoto makes for an awesome display at 5 7/8” tall.